The General Store. 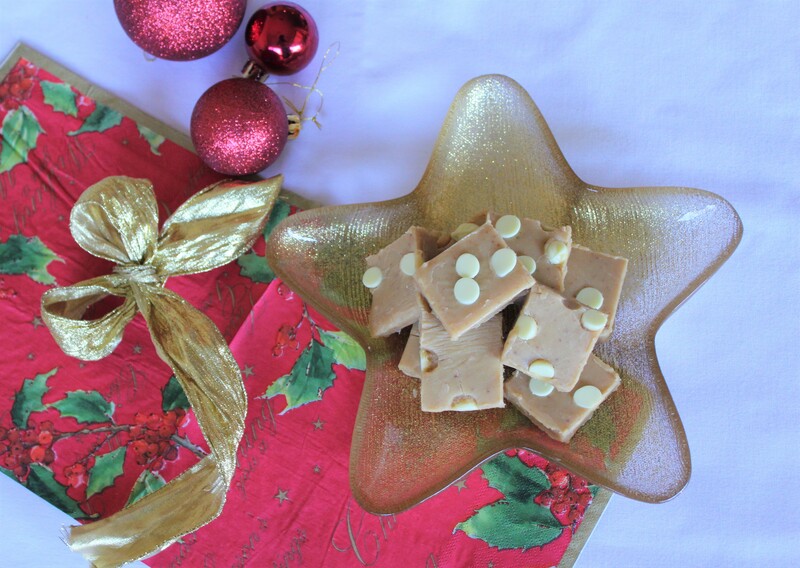 The Caramel Fudge. I was lucky to have to opportunity to experience online shopping for groceries with The General Store. 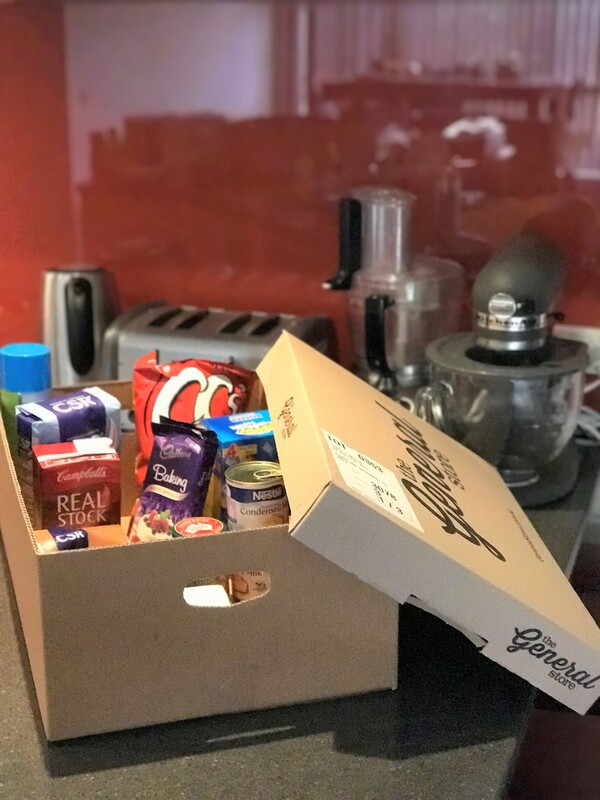 Now along with your 100% fresh Aussie produce from Aussie Farmers Direct, you can recieve all your favourite household and pantry items from The General Store. The General store has selected trusted brands at incredible prices, so you’ll always find your favourites. Together, Aussie Farmers Direct and The General Store are a one stop shop for everything your household needs all supplied in one convenient delivery. To save time and money, epecially during the Christmas period, you can do your grocery shopping online and have it delivered straight to your door. What I found the best thing about the delivery is that it is scheduled from midnight to 7am on your day of choice. That means while you are asleep your goodies are being delivered. It’s at your front door when you wake up! The prices are very competitive. They have specials that you can browse through. They offer some great value family pack size options, which is great when you have many hungry mouths to feed. Thanks to The General Store, I had the opportunity to browse and get some groceries, I wanted to see what was on special and make something with the groceries. I managed to order a few items that were on special that week. My online experience was great. It was easy to navigate the site. The products are catagorised for easy searching. The page opens up firstly on their specials so you can browse to see if the products you want are on special that day. If you do need help, they have a phone number you can call or contact them through their online webchat. 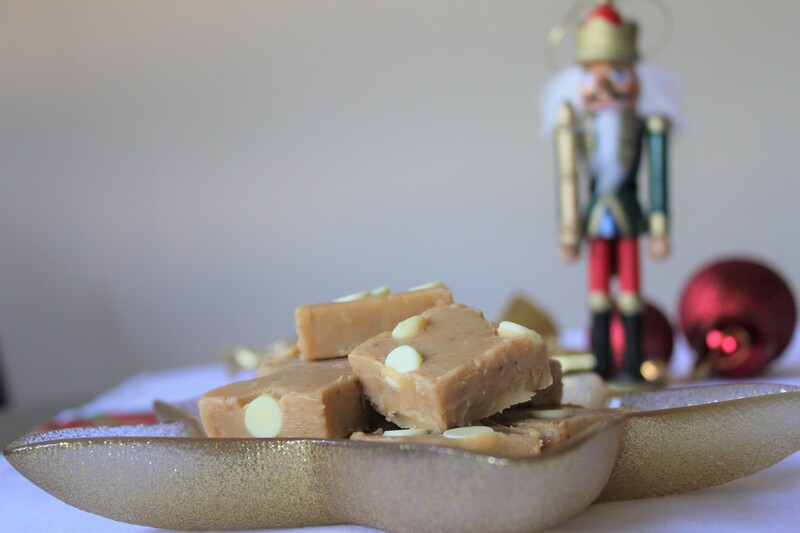 Since condensed milk was on special and the white cooking chocolate was reasonably priced, I bought ingredients to make white chocolate and caramel fudge. A favourite with the family. Win-win! Below is my recipe for you to make it. 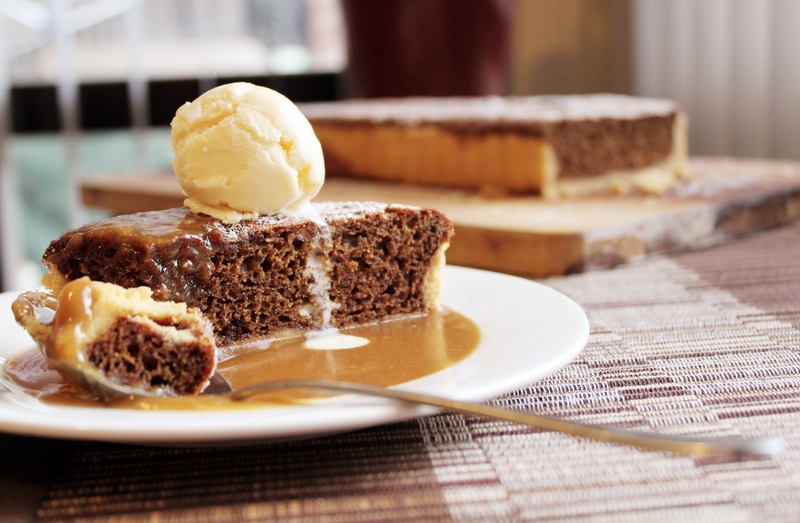 In a saucepan, melt the sweetened condensed milk, sugar, butter, glucose and golden syrup. Over a low heat, keep stiring for about 20mins until it has thickened and turned pale brown. Pour over a sieve into the prepared tray. Get online now and check out their online store. It’s easy to do and more importantly, it’s convenient. 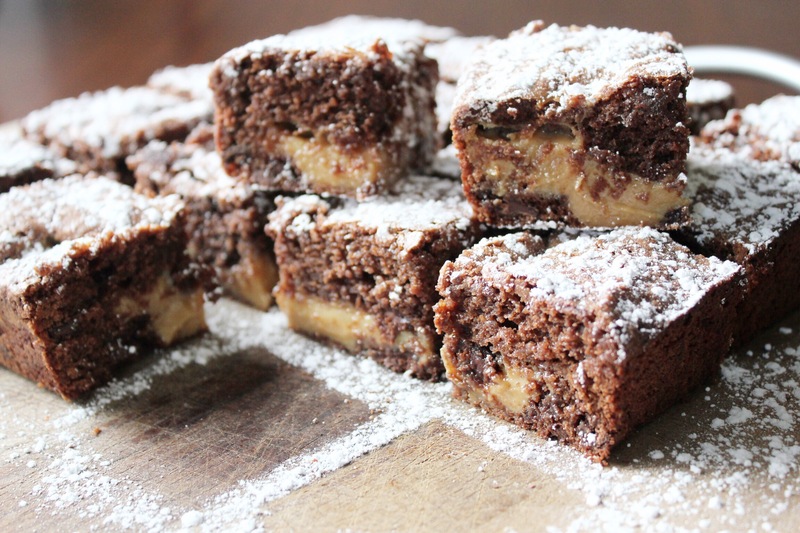 Who doesn’t love gooey, caramelly, fudgey brownies? If there is someone who doesn’t, I have yet to meet them. My family definitely loves them. As I make brownues quite often, I try to change it up a bit. In this case, I added dulce de leche. This is a caramel made from slowly boiling a can of sweetened condensed milk. In doing this the condensed milk changes colour and flavour. To make the dulce de leche, submerge the can in water in a pot. Slowly simmer for 2 hours. I put on the timer on every 30mins to check the level of water. Do not ever let the water dry out as this will make the can explode. So if you do not a whole in your ceiling, please keep an eye on it. 1x can sweetened condensed milk boiled in water for 2 hours then cooled. It’s ready when th sides are set but the middle has a slight wobble. Let it cool a little before cutting into it. 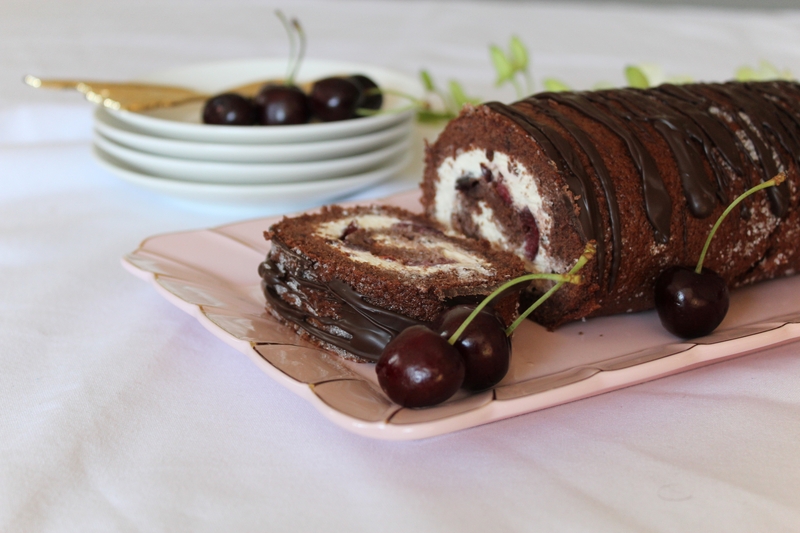 I was looking for a dessert that is a bit on the healthier and lighter side as well as a dessert that my kids will like. 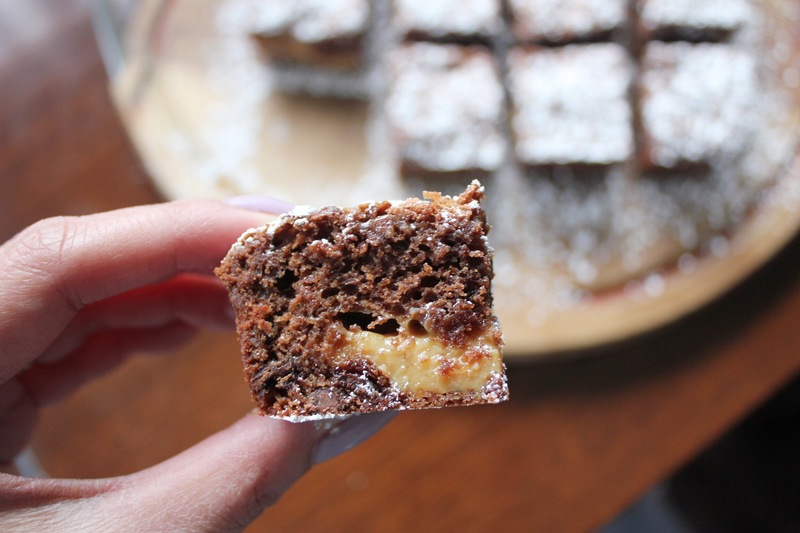 I found this Woman’s weekly recipe and I as eager to give this a try. 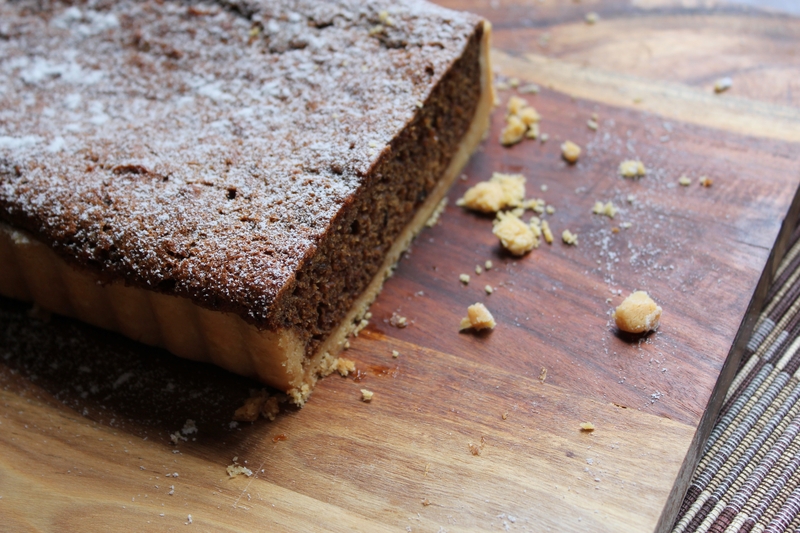 The coconut oil in the pastry not only gave it a lovely smooth texture but gave it a wonderful flavour. I loved the aroma of tart shell while I was baking it. The low fat filling is a combination of ricotta and yoghurt, giving it a lighter texture. 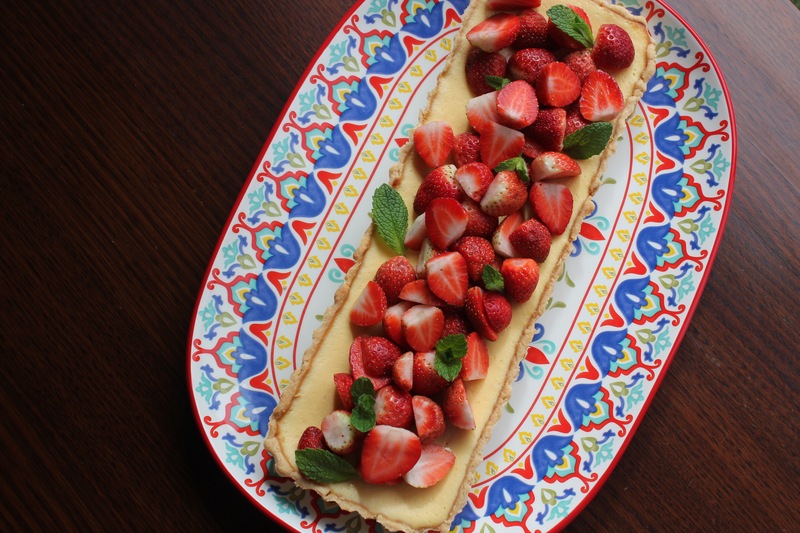 The only thing I will do differently is to serve the tart with a strawberry sauce or compote. 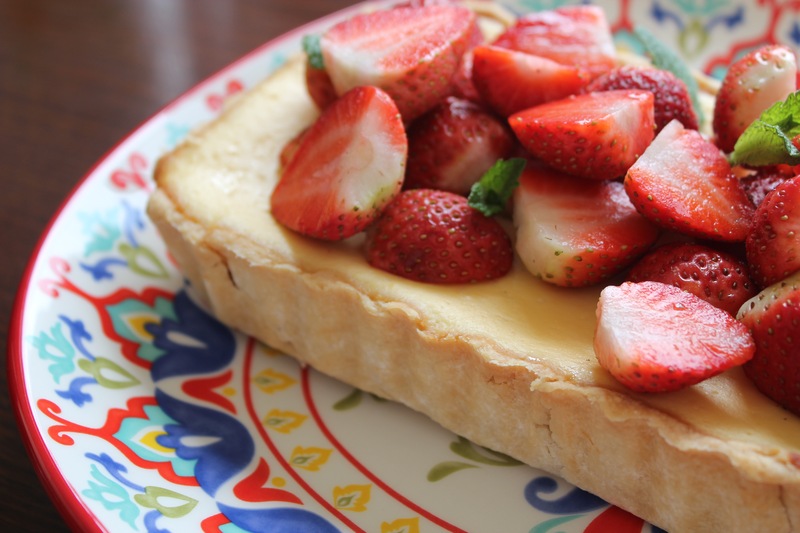 I do have to say the family did enjoy the tart and I would make it again. 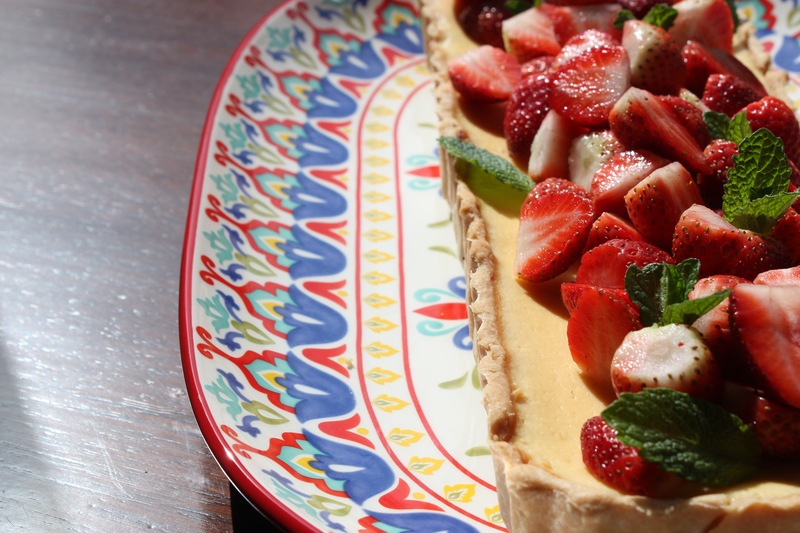 It’s perfect for a light summer dessert and dare I say, served with vanilla ice cream. In a food processor add the flour, coconut oil and sesame seeds. Process until combined. With the motor running, pour enough water until mixture just comes together into a ball. Tip out onto a lightly floured surface and knead lightly. Shape pastry into a disc, wrap in cling film then refrigerate for 30 mins. Grease a loose-based tart tin. Grate the chilled pastry into the tin then press into the base and sides of the tin. Prick holes with a fork then refrigerate for 30 mins again. Preheat oven to 200degC (180degC fan forced). Place the tin onto an oven tray. Line the tart shell with baking paper and baking beans or rice. Bake for 15 mins. Remove the paper and beans and bake for another 15mins or until lightly browned. Leave to cool. Meanwhile, in large bowl mix together the ricotta, yoghurt, caster sugar, eggs and lemon zest until smooth. Pour mixture into the tart shell. Bake for 30-35mins or until filling is just set. 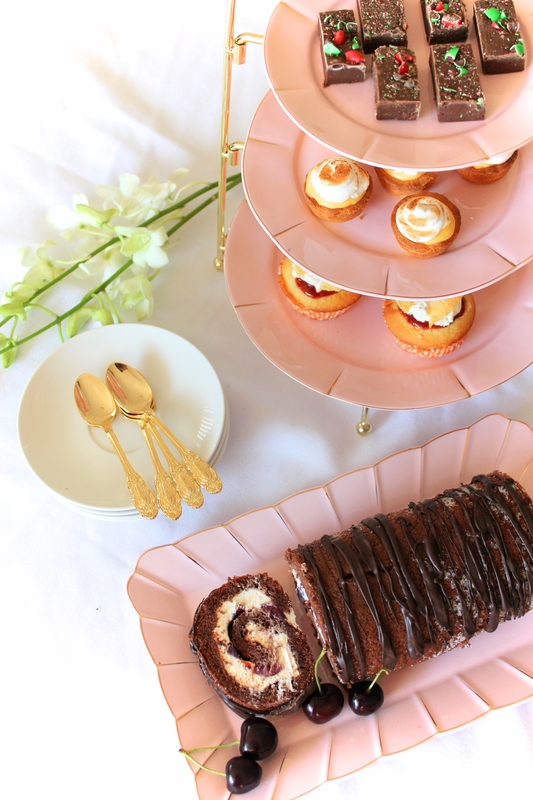 The tart is served on my Maxwell & Williams Lanka oblong platter (40x28cm) RRP $39.95. I was approached to have this lovely platter gifted to me by Maxwell & Williams. It was not hard to find a recipe that went along with the lovely pattern of the platter. 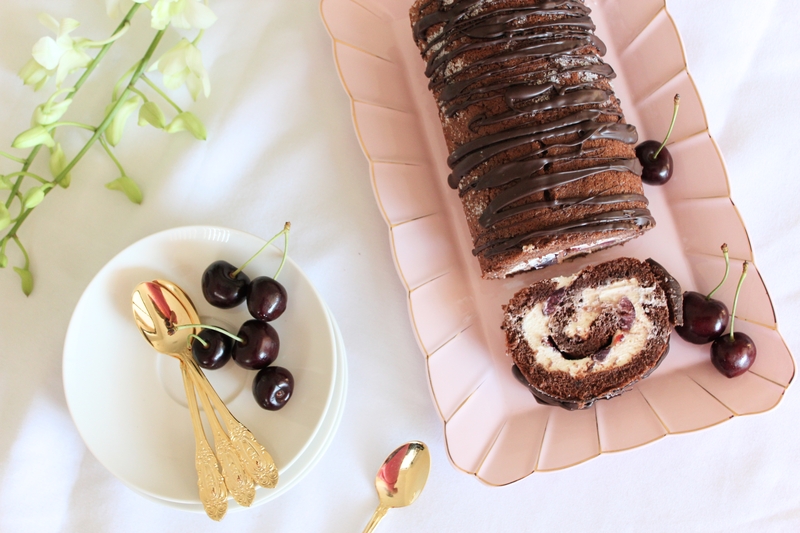 It is perfect for sharing platters when I have family and friends over for summer lunches and parties. I love social media. Everyone is on it nowdays in one form or another. I use my Instagram to share what I’ve been up to in the kitchen and I use my Facebook to share family moments with my family and friends. It has helped me to make new friends and to re-connect with the old. 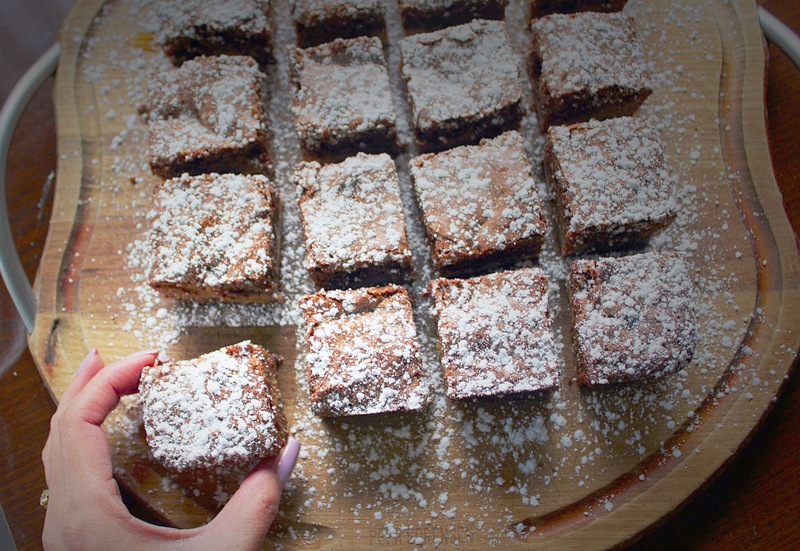 It allows me to share my passion for baking and food in general with everyone. This is how this recipe came about. 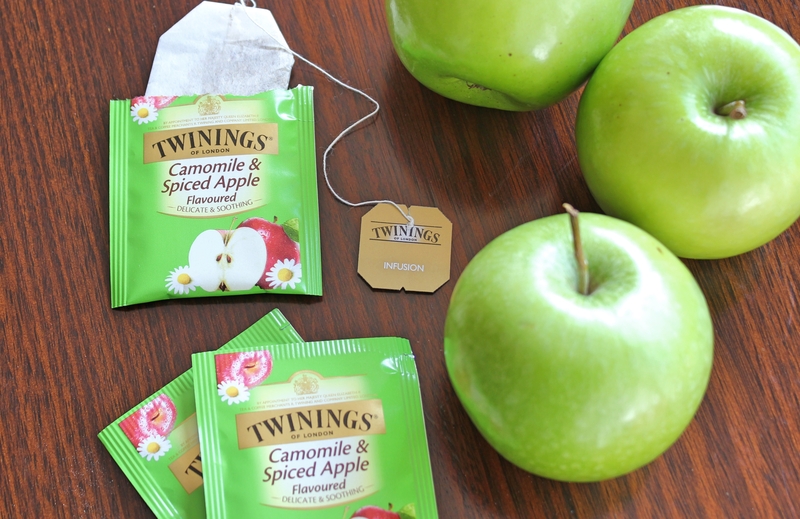 A friend reached out to me on social media and asked me about how I can incorporate Twinings Teas into a recipe. 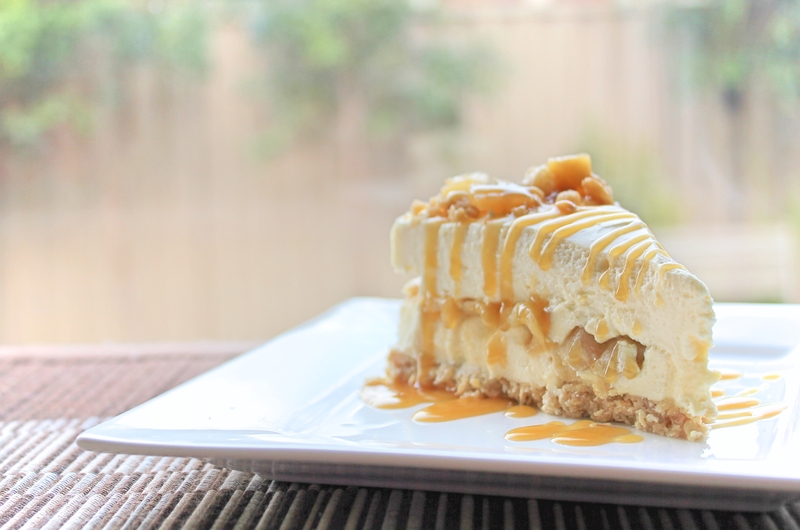 After some thought, (and a current craving for cheesecakes), I came up with my spiced apple crumble cheesecake. 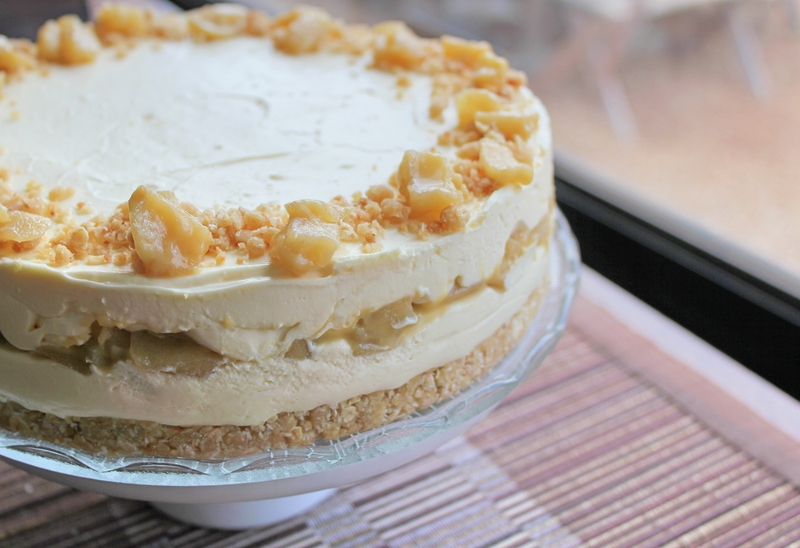 This is a no bake cheesecake making it light and perfect for the warmer weather. I soaked the tea bags in cream overnight. It flavoured the cream making the taste of the apple prominent in the cheesecake. Warm up the cream in a small pot. Do not let boil. Add the tea bags and leave to soak overnight in the fridge. Make the caramelised apples. Melt the butter and sugar together in a small pot. Add the apples and vanilla extract. Simmer till the apples are nice and tender and taken on a little colour from the sugar. Set aside to cool completely. Prepare a 20cm springform tin by greasing and lining the bottom. Make the crumble. In a bowl add the dry ingredients and mix well to combine. Add the melted butter and stir to ensure all the ingredients are well combined. Set aside 1/4 cup of the crumble then press the mixture into the tin then place in the fridge for 30mins. 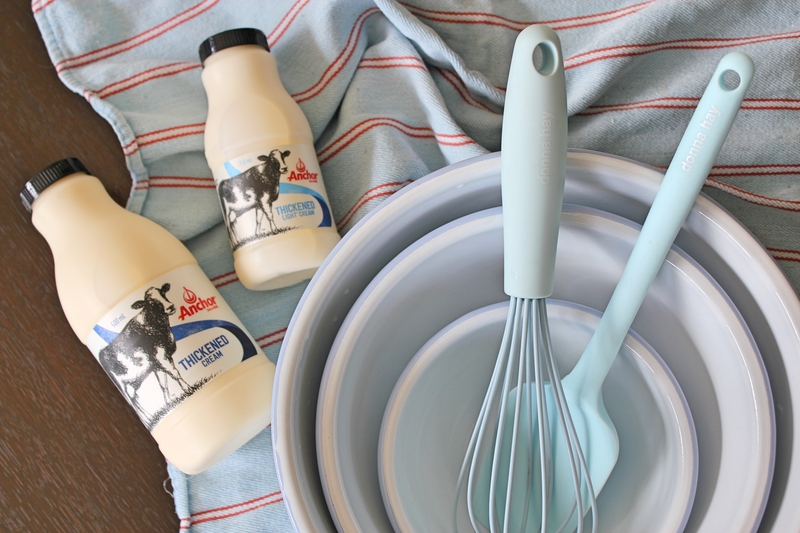 Make the cheesecake. Beat the cream cheese with an electric mixer until smooth then add the condensed milk and gelatin. Beat until well combined. Take out the tea bags out of the cream. In a separate bowl, pour the tea infused cream and whip till soft peaks. Pour half of the cheesecake mixture into the tin then carefully spoon all but 4 tbs of the caramelised apple. Pour the rest of the mixture on top. Smooth out the top. Place in the fridge to set for about 4 hours. Once set, garnish the top with the left over crumble and caramelised apple. Make the butterscotch sauce. Place all the ingredients in a small saucepan, bring to the boil and cook for 5 minutes. 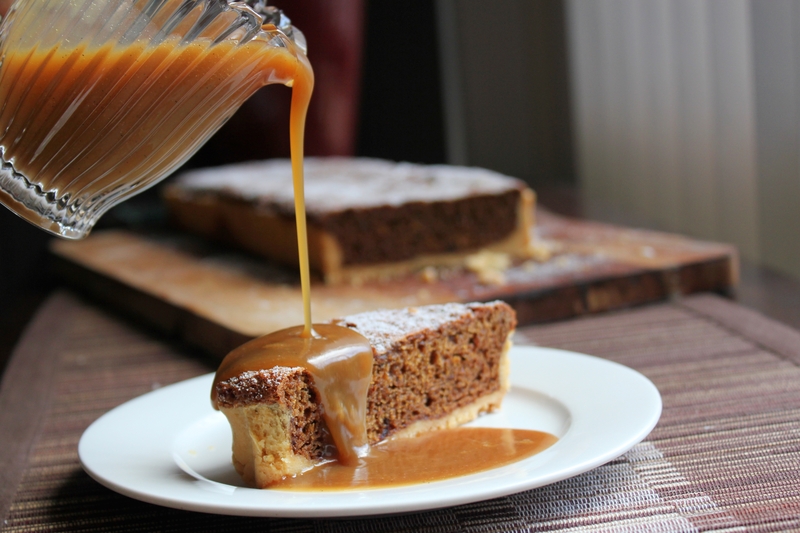 To serve, drizzle with butterscotch sauce on slices of the cheesecake.